For me personally, the highlight is Javier Bardem– a powerhouse performer – who as Captain Salazar is the latest baddie to lock horns with our eccentric protagonist. Ok now! If you guys still haven’t noticed, the latest fad to hit Tinsel Town is films featuring de-aged actors. We had an extremely young looking Michael Douglas striding into S.H.I.E.L.D. headquarters to tender his resignation in the opening sequence of Ant-Man. One of the sequences from Captain America: Civil War featured Robert Downey Junior playing a youthful Tony Stark. Oh and if that wasn’t enough, we also had Anthony Hopkins jumping on the de-aging bandwagon with a scene from the hit TV series Westworld where he is in his younger avatar. 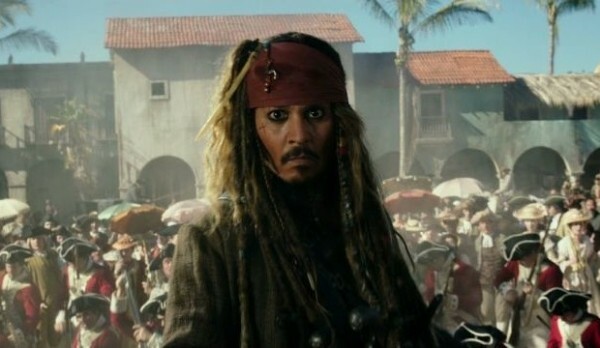 The latest in line to go under the proverbial digital knife is Johnny Depp looking like a teen Jack Sparrow in the latest instalment of the Pirates of the Caribbean film series. 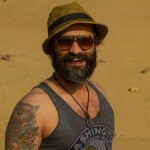 We are still not sure if he was a captain back then but what we are certain about is how he is not going to be the last major actor to get a visual cosmetic surgery done. Fun fact: The whole Pirates of the Caribbean (POTC) phenomenon kick started with a theme ride attraction at Disneyland way back in the 60s. The ride based on pirate legend and folklore was such a huge success that it spawned a billion dollar Disney media franchise including numerous amusement park attractions, a series of movies, spin-off books, as well as a number of related video games and other media publications. Johnny Depp in Pirates of the Caribbean: Dead Men Tell No Tales (2017). Straight off, after watching the trailer my first observation is how in this part as opposed to all the previous ones where Sparrow’s past transgressions were only alluded to, we now actually get a visual glimpse in to how he managed to piss off his current foe with all the flashbacks of his young self. Despite being a big fan of the fantasy swashbuckler film series, I would readily admit that Pirate of the Caribbean: On Stranger Tides, the fourth part of the pirate series was a major let down. Now six years later The Mouse House has a great chance to set things right with Pirate of the Caribbean: Dead Men Tell No Tales. 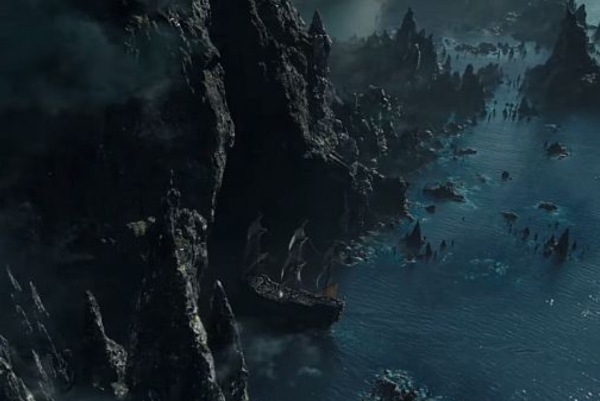 When Pirates of the Caribbean: The Curse of the Black Pearl hit the screens 14 years ago it went on to become a trendsetter among early 2000’s film franchises. With close to $4 billion grossed worldwide, if not more it was as influential as Lord of the Rings and Harry Potter in setting up a template for all the future media franchises to follow. But that was a long while back. In times where the Disney empire now has hold over the whole Marvel Cinematic Universe with The Avengers and Star Wars: the Galaxy far, far away – not to forget their animated fairy tale princesses and Pixar – the murky waters of the Caribbean feel like, well, an afterthought. But POTC is still the 11th highest-grossing film series of all-time and it does make financial sense to give it another shot. 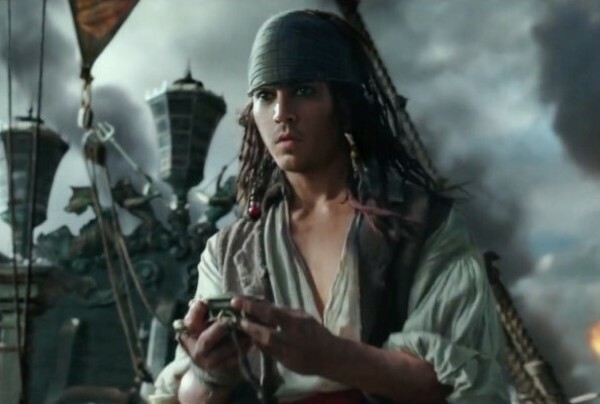 And who are we to complain if in the bargain we get another dose of the fascinatingly quirky Captain Jack Sparrow? Do you really think that Disney was right in reviving the Pirates of the Caribbean film franchise? Captain Jack Sparrow Who ?